Fighting game goers are still testing the Injustice: Gods Among Us waters with recent DLC character Lobo. Peep the combo that does 53-percent damage inside. 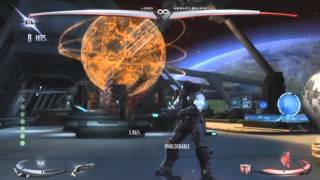 Only one bar of meter is required for this Injustice: Gods Among Us combo using Lobo. Kylebadass123 is the provider of this damaging combo that deals 53-percent damage. Poor Harley.